Speed Date a Sustainability Expert is coming to Adelaide. The day will start with the showing of a documentary film: “Biophilic Singapore”, followed by a seminar and Q&A session on sustainability topics, hosted by ABC Gardening Australia’s Sophie Thomson. This will be followed by Speed Dating: register for your chance to come and meet green architects and experts on energy efficient products, permaculture, greywater and more. This is a free event, part of the Marion Learning Festival. 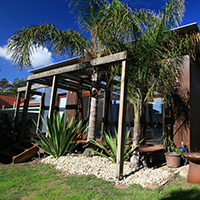 Alternative Design Studio is a small architectural design firm specialising in boutique house additions and new homes. At Alternative Design Studio our aim is to produce beautiful, sustainable and innovative designs that are also functional and cost effective. We believe that great design requires more thought, not necessarily more money, and that bigger does not necessarily mean better – quality is more important than quantity. We believe that great design and respect for the environment go hand in hand – design features that help to make a house sustainable are the very same features that make a house beautiful, inspiring and comfortable. Bohdan Dorniak & Co Architects and Town Planners is a small firm of architects with a passion for designing sustainable buildings. The firm has expertise in design, documentation and contract administration of all projects. 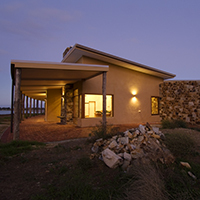 Design principles include solar passive design, low embodied energy materials including straw bale (over 50 completed projects), earth and reverse brick veneer. 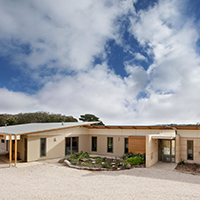 Winner of the 2012 Sustainability Award, CV Constructions is a building practice focused on converting plans and ideas into sustainable and highly energy efficient homes. Nils Gruttner and his team are dedicated to thermal performance through attention to detail and 20 years of experience. Their focus is on the practical application of sustainable construction methods and materials, aiming to make these homes more affordable and available to a broader range of clients, thereby slowly changing current industry practices. 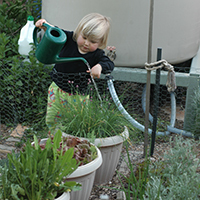 A permaculturalist, Harry grew up watching the natural processes of soil building under olive trees and in wetlands and has applied this to his gardening. This includes building productivity via biodiversity with minimal intervention: “asking nature to come back into the garden”; creating microclimates that suit plant growth and integrate with the built environment. He can advise on permaculture design and practice: how to design and use a garden to enhance the thermal aspects of living, utilising microclimates, and recycling organic matter in a sustainable system. 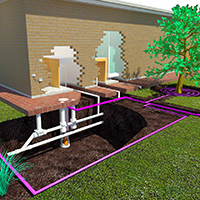 With a background as a plumber, Steve Eckert started Eco Building Supplies in 2008 with the intention of providing expert advice and service on rainwater harvesting, greywater and under floor heating. His achievements include teaching the Plumbing Industry Association of SA’s Eco Plumbers Course, and working on a project to supply clean drinking water to villages in Papua New Guinea’s Northern Highlands. 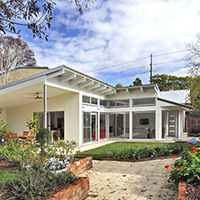 Ian Dolman developed his architectural knowledge and experience working with Adelaide’s senior Architects on projects covering a range of domestic and commercial buildings throughout SA. Ten years ago he set up his own practice to further develop his passion for and knowledge of sustainable design. Ian enjoys the collaborative design process with his clients and the exchange of ideas that ensures each project delivers an energy efficient, sustainable home that aligns perfectly with his clients’ philosophies and style of living. 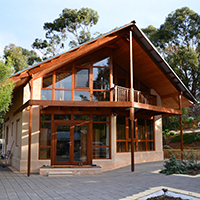 Thirty years ago Emilis built his carbon neutral home office at Monarto, which is his practice’s base to this day. Since then he has helped numerous clients build climate appropriate, low energy, water and waste buildings integrating best practice passive and low resource systems – earth tubes, subsidence towers, reed beds and so on. He is widely published in technical and homeowner books and manuals. Discover practical design and construction solutions to make living in your new or existing home more comfortable and affordable. Energy Aspect Living is an award winning builder leading the construction industry in energy efficient, sustainable, and zero carbon building. Danny Pauley, HIA 2012 National GreenSmart Professional of the Year, and Donna Bartsch will happily answer questions relating to material selections, general building and design. It is one thing to design an energy efficient and sustainable home, the other is to find a builder who understands why it’s important and can make it reality. 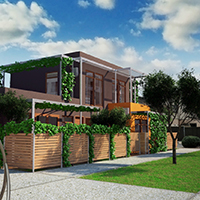 Goodhouse is a systemised design and construction approach that delivers architecturally designed, highly efficient and sustainable homes at an attainable price. 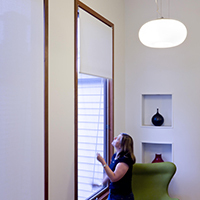 These homes respond to the client brief, integrate with the environment and provide healthy and connected spaces in which to live. 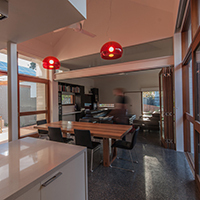 Stephen Jenkins of Green By Design brings over 35 years of sustainable expertise to his clients’ projects and has a passionate interest in passive solar design, renewable energy and living harmoniously with nature. 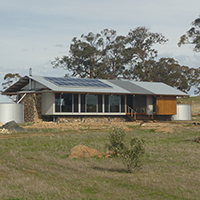 Specialising in renewable energy and sustainable retrofit advice, his expertise includes real world experiences of living in rural and urban environments utilising on and off grid solar power, solar hot water and rainwater solutions. 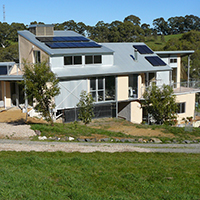 Stephen’s projects utilise the above technologies as well as enhanced insulation, natural ventilation and the use of passive heating and cooling techniques to suit a wide variety of climate zones and client budgets. With an interest in residential and small commercial, Julian’s approach to sustainable architecture focuses on balancing the need to reduce our impact on the world’s resources with the need to increase our awareness of and connection to our external environment. Rather than having a particular look or style, a sustainable building should respond to its site and the issues most important to its inhabitants. With experience in building and energy auditing, Julian is also able to help building users minimise their use of water and energy after handover. He was named SA’s Emerging Architect in 2009. 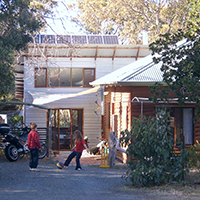 Nat Elliott has been interested in solar energy since renovating his house back in 2003. He completed a certificate in Renewable Energy in 2006, and worked for several companies in the solar industry before joining Keystones Solar Group two years ago. He is passionate about solar – including solar power, solar hot water and passive solar buildings – and has incorporated all three into his own house renovations. He has found that people need knowledge to make an informed decision and is always keen to help. Stephen Partrick has been involved in the lighting industry for over 24 years, seven of them with LED Eco Lighting, an Australian owned and run company that specialises in energy efficient lighting for domestic, commercial and industrial applications. 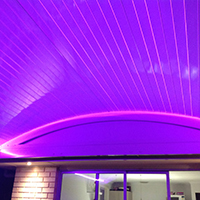 LED Eco Lighting is able to provide advice on the specific lighting that is required for your particular lighting needs. Nigel Miller is a sole practitioner, passionate about architecture, design, environmental issues and providing a professional service to clients. His practice was founded after 20 years of diverse architectural experience and has a focus on sustainable design for houses and small scale commercial projects. 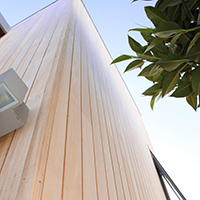 Nigel is committed to environmentally responsible design, incorporating natural textures and recycled materials, natural lighting and ventilation, while working in close collaboration with clients to achieve contemporary and environmentally responsible outcomes. 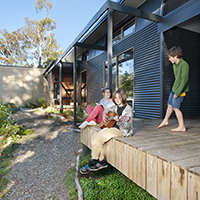 Passivhaus Australia combines sustainable design with Building Biology principles for your dream home or commercial project. We offer solutions balancing environmental, social and financial objectives towards a toxin-free and carbon-neutral future. German trained development specialists with a comprehensive mix of knowledge and experience focus on the needs of our clients. 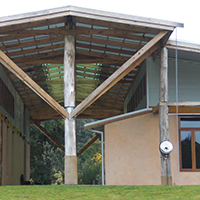 Through reforming design, building practices and materials we create financially and ecologically sustainable buildings, healthy and practical to live in, beautiful to look at and built to last for generations. Salt seeks to provide integrated solutions through efficient, optimised, appropriate and sustainable architecture, to enhance the immediate environment and to help ensure its integrity and balance into the future. Salt is dedicated to optimising design outcomes through considered innovation, sensitivity and design excellence. It firmly believes that built projects should be used as key forums for the development of environmentally sustainable design, improved working environments and appropriate and meaningful design solutions. Finn Peacock is a Chartered Electrical Engineer whose work history includes designing control systems for nuclear power stations and a commercialisation manger with CSIRO’s renewable energy division. 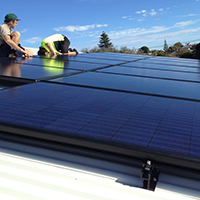 He established SolarQuotes.com.au in 2009; it provides a broad range of independently-sourced information about solar PV systems. 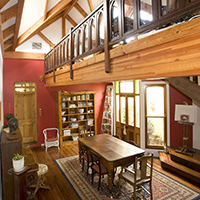 It also allows potential buyers to obtain three local quotations for a system. Troppo aims to promote a sense of place through architecture that responds to climate and the local setting: a dynamic architecture of adjustable skins that connects the indoors with the out, a non-constant architecture that responds to the morning, the evening, the season, the heat, the cold, the sun, the rain; the moment. We are committed to the notion of environmentally sustainable, responsible architecture, which leads to a whole-of-site approach (and beyond). Award winning architects TS4 Architecture are passionate about designing affordable, climatically responsive and comfortable homes. Our creative approach results in buildings with inspirational spaces for living in and reflect our clients’ needs and their lifestyles. 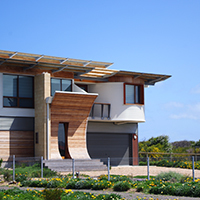 Specialists in zero energy and zero carbon homes, TS4 Architecture combines creative and technical knowledge from the disciplines of Architecture and Industrial Design to generate solutions that are practical, buildable, within our clients’ budget and with architectural merit.